Occupational therapists (OTs) help you navigate today's complex home care and insurance systems. We make the process less stressful so that you can focus on recovering your health. OTs evaluate your home and rehab needs; coordinate home care services and community resources; help to develop an interdisciplinary treatment team; and liaise with treatment providers and insurance adjusters to ensure your rehab and medical needs are met in an efficient manner. Case Management is a collaborative process that involves assessing, planning, coordinating, evaluating and advocating for options and services that comprehensively meet your health needs. 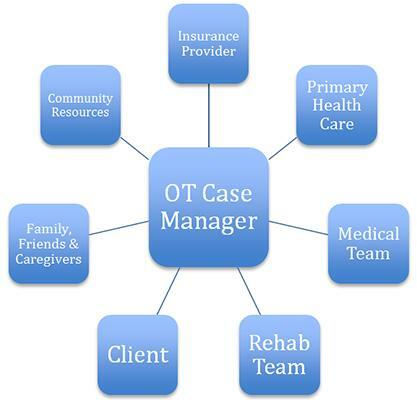 What Makes OTs the Ideal Case Managers? OTs look at the big picture by assessing your ability to manage your daily life, whether at home, in your community, at school or at work. OTs are experts in developing interventions that address the physical, cognitive and psychosocial barriers, as well as environmental or systematic barriers that impair your function. 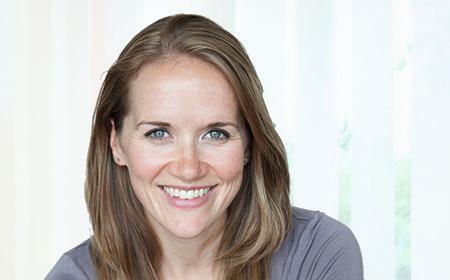 They have a vast knowledge of community resources and supports, as well as self-management and adaptive strategies to empower you to take charge of your health beyond the recovery period. You can access our OT case management services in most areas of Vancouver, West Vancouver, North Vancouver, Burnaby, Richmond, New Westminster and Coquitlam. Please call Evergreen Nursing & Rehab today at 604.264.7959. For submitting a referral, please fill out our referral form.